Which came first? The rose or the thorn? I have read quite a bit of literature over my life, but absent a tune, I find it very difficult to quote passages. If a catchy phrase is going to come to mind, it would be in music. “A rose without a thorn…” No, not Miley Cyrus or Poison, thank you. 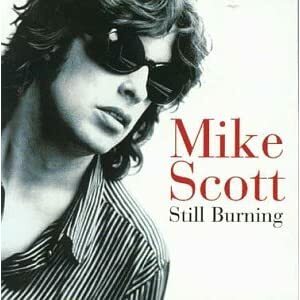 The lyric I’m thinking of is, of course, a bit more obscure but far more rewarding than those two “artists.” Mike Scott released a fantastic CD in 1998 called Still Burning, in my opinion far better than a much wider body of work he has released as the leader of The Waterboys and one that continues to provide as much listening pleasure as any I own. He’s at his best when he writes with humor, such as in “Rare, Precious and Gone,” where he is being a comfort to a friend whose girlfriend just left. But most of all, my friend, she’s gone. In life and art, we’re constantly reminded of imperfection. If someone actually were perfect, we would risk being impossibly overwhelmed or feeling entirely inferior. We’re more content knowing no one is perfect, after all. 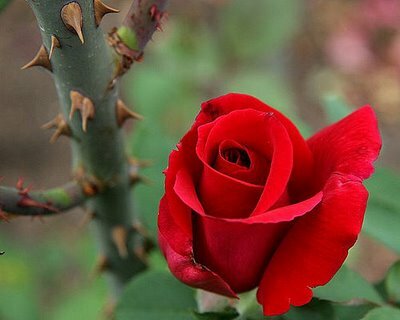 Mother nature spent gazillions of years putting roses and thorns together. And what have we (modern plant breeders…) done? We’ve made the thornless rose. What are the implications (besides less painful yard work)? Imagine, if you will, a rose bush, without any thorns. Well, I know. You don’t have to imagine it; you can buy one now. But just go with it. Pleasant isn’t it? It’s sitting there in the perfect soil, moisture and sunlight, doing what a rose pedal does best. Looking flowery. But wait! (insert foreboding music in background). The evil Mr. Rabbit comes hopping up, inhales of its sweet fragrance and decides that it’s suitable to eat. And he does just that. I know. It’s very sad. Now, imagine the opposite. Call them briers or brambles, but give them ample prickly spires, only with no flowers or fruit to tantalize or tempt. Yes, it’s a weed with malicious intent. The evil Mr. Rabbit comes hopping up, considers his palate, and says, “No thank you! You don’t appear very tasty or pleasant to digest!” This is a much happier ending for subject (the brier, not the rabbit). And this is the evidence of me having too much time to think. Roses and thorns were smart enough to pair up, and what do we do? We split them up so that they’re friendlier to beholders when stuffed into a vase. Nicely done. Presumably, some bumps grew on the formerly smooth stem after many years of self-help exercises and good intentions to do better, but… Mr. Rabbit still had his way. The roses that somehow survived redoubled their efforts, and the bumps, in time, became knobs. That’s real progress for people who demand change. But, still, Mr. Rabbit was not deterred. Eventually, after exhausting all available self-help exercises, tutors and grand thinkers, a single remaining rose (one would have to imagine that all the others had been digested after millions of years of being DQ treats) finally sprouted appropriate siege defenses and passed the trait on to all its ancestors that we enjoy today. I know it’s a lot to expect an unthinking plant without self-control over its DNA to just sprout thorns for self preservation, but what other choice do you have? Oh, of course, we can go the other way and start with the weed with malicious intent. Briers were so despondent about their lots in life that they adapted, over millions and millions of years, to eventually produce flowers and their sweet aromas to otherwise adorn their meaningless existence. As a plus, then they could also count on third parties to pollenate the new flowers so they could multiply! Smart thinking! Well, here’s the rub. However they came about, what if the birds and bees help our “improved” version of the rose replace it’s thornier cousin. Oh, I know, it’s not likely. But isn’t the concept of a rose without a thorn more important than a rose without a thorn? Isn’t the metaphor precious? Will it become rare? Might it someday possibly be gone? Otherwise, let’s make a stretch goal of breeding roses until they grow naturally in clusters of twelve suitable for ready-to-cut bouquets on February 14th, thereby sparing man both the pain and the expense.